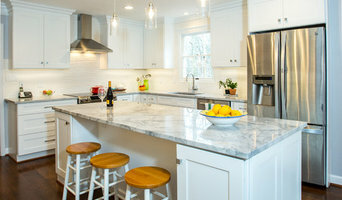 Nova Remodeling is a fully integrated Construction and Remodeling company specializing in kitchen and bathroom remodeling for individuals that are passionate about their home and lifestyle. 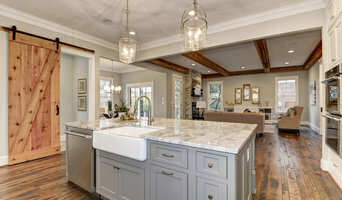 Michael Winn is the owner & president of WINN Design+Build, an award-winning design-build firm based in Falls Church, VA which specializes in additions, whole-house remodeling, outdoor living & more. Whether it’s a single room or a large remodeling project, our desire is to create functional living spaces with comfort and style while capturing our client’s vision and individuality. I have had a thirty-year career providing concept, schematic and design development services for a variety of building-type projects, especially residential. We realize how important your home is to you and understand what a big difference the right remodel can make. Our mission is simple: create beautiful living spaces that enrich our clients' lives. Graves Design & Remodeling is a local, family owned business located in Springfield, Virginia. We have over 25 years experience in Northern Virginia and have thousands of satisfied customers. Through careful listening and clear communication we will guide you seamlessly through the design process, helping you to achieve your own kind of luxury. At Nawrocki Architects, we design to our client's budget and schedule. We tailor our services to each client's project and remain flexible and cooperative toward achieving the desired results! We have been providing homeowners with quality remodeling services for more than 20 years, and strive to infuse each and every project with luxury, class, and timeless beauty. Stephen O’Neill currently holds licenses to practice in 5 of the United States, including the District of Columbia. He is a decorated member of the architectural community. We specialize in new homes, renovations & additions to existing residences. Starting with both the site and the client's desires, we work to create a distinctive solution for each individual project. As the architect, we are here to help you realize the goals for your project. Thus our designs will be based on understanding your objectives & helping you realize them in built form. DuBro Architects + Builders, formerly named Novus Construction has been designing and building spaces in the Northern Virginia and Washington metropolitan area for over a decade. From simple front porches to new homes, each project provides a chance for their team to turn space into living architecture! At DuBro Architects + Builders, integrity is a valued principle. It is core to our client, vendor, employee, and community relationships and, it drives the way we design…and build. There’s an integrity of actions and procedures as much as there is an integrity of materials and systems. Integrity is the foundation from which our company is built. Sustainable Design Group is small firm with 30 years experience designing and building highly energy-efficient custom homes.